This recipe for the MOST creamy homemade hummus is way better than anything you will buy at the store. There’s a trick to getting the creamiest homemade hummus. I’ve been making hummus for years, but I’ve been making it wrong all this time, and I have to share this awesome tip with you. The trick to the most creamy hummus, is to start with dried chickpeas (or garbanzo beans… if that’s what you call them). If you use canned chickpeas, you just won’t get the same creamy texture. To get really soft and creamy chickpeas, you basically soak them in your slow cooker overnight and the skins will come right off. 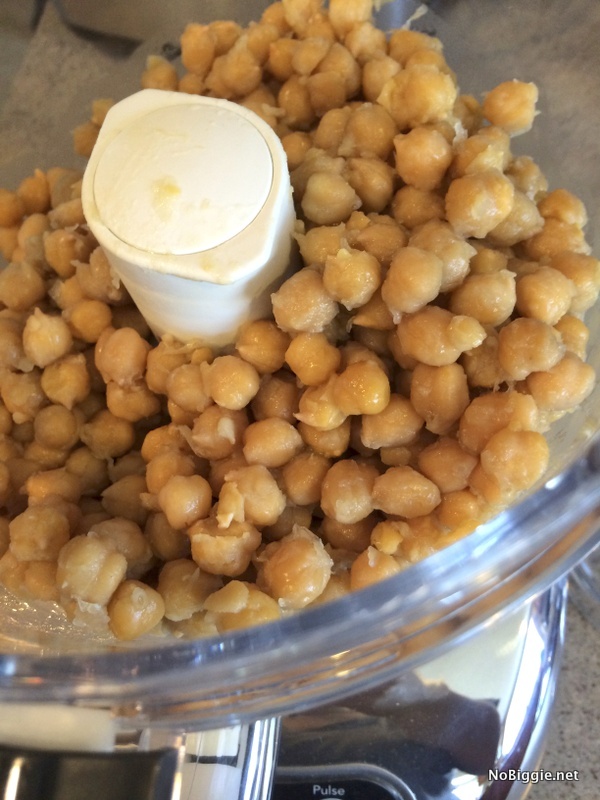 Place the chickpeas, water, salt and baking soda in a large slow cooker. Cover and cook on low heat for 8 to 9 hours (or overnight) until tender. Drain, cool and move all of them to a new container and store in the fridge until you are ready to use them. If you’d like, you can just eat them plain here or add them to your favorite salad or recipe. You’ll probably want to salt them a bit. You’ll have to try one and taste the difference for yourself! 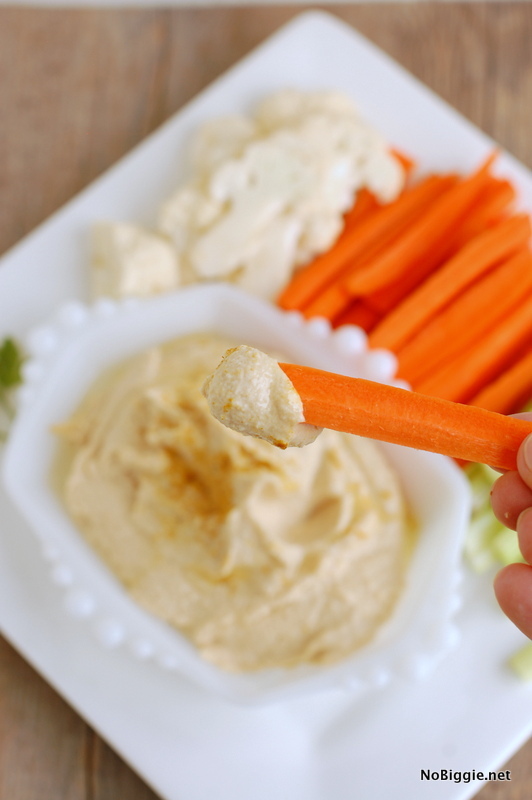 They’re so much more creamy in texture…making really creamy hummus! 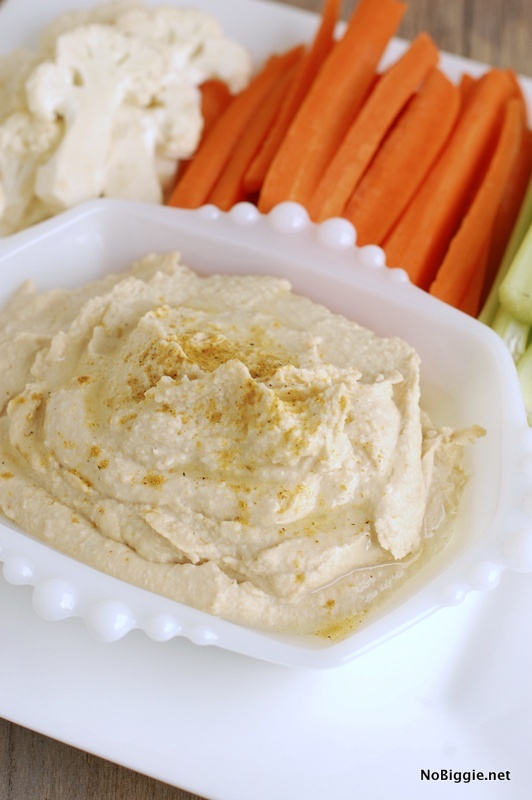 Okay, here’s a classic hummus recipe, one that we love. You’ll need a good food processor. We love our Kitchenaid food processor. Place the chickpeas, garlic, and kosher salt in the bowl of your food processor. Process for 15 to 20 seconds. Stop and scrape down the sides of the bowl, and process for another 15 to 20 seconds. Add the lemon juice and water. Continue to process for another 20 seconds. Now add the tahini. Process for 20 seconds, then scrape down the sides of the bowl. With the processor running, slowly drizzle in the olive oil. 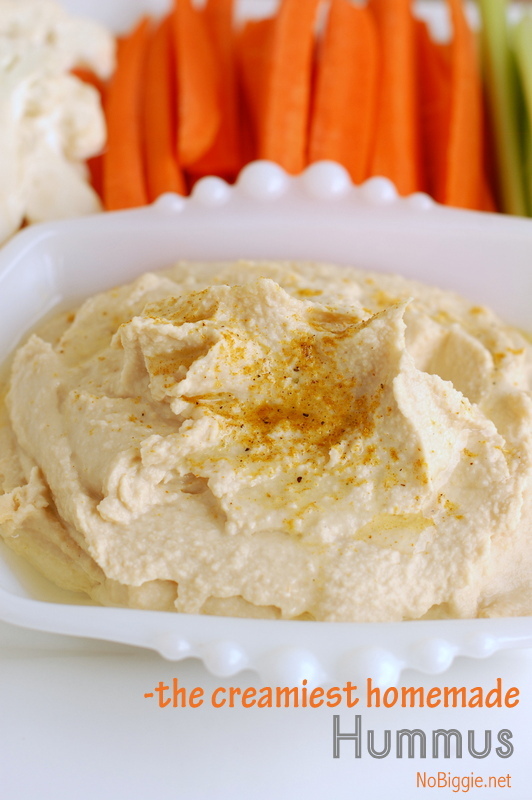 To serve, transfer the hummus to a bowl and drizzle with more olive oil and top with a sprinkle of paprika. That’s it! Now it’s up to you on what type of things and flavors you’d like to add to it and what you’d like to dip into it. You’ll have to try making hummus from dried beans, you’ll never go back to canned beans again. Looking for chickpea recipes? Have you ever tried them roasted?! They make a great after school snack! 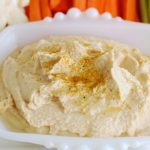 I love hummus and make it all the time but have never made it with dried chickpeas. I’m going to have to try this- looks delicious!! What does the tahini do for hummus? Would it be good without? Hi Kim! I’m really not sure what it does for the hummus, but it’s in every recipe for Hummus I’ve seen. It’s not hard to find and it’s not that expensive. Tahini in the jar is very expensive ($7 or more) so I make mine for a fraction of the cost. My store has sesame seeds in the bulk bins, so I toast about 1/2 cup in a dry frying pan, then process them with a little EV olive oil. Now I continue with the recipe above, and I add some cumin and a few drops of hot sauce. Excited to try this! How long does it keep for in the refrigerator? Also, have you ever frozen hummus? Hi Amanda! Sorry for the late reply. I think it would be good in the fridge for a week+ and yes you can freeze it! Hello, this recipe looks amazing! I was just wondering how much this makes? I am considering making this for a graduation party and wondering if I should double the recipe or not. Can you make this with canned chickpeas? We dont really eat hummus very much, so i dont want a lot of it hanging around. I know it probably wont be as good though! YES! Sorry for a late reply…not sure how I missed this!